Children are no different than most of us this time of year; they eat more sweets and snacks than usual, and healthy habits are at risk of falling by the wayside. When the last of the holiday candy has been consumed, here’s how to focus on starting the new year with healthy dental habits for the whole family. With all the holiday treats your kids have likely been around, starting with Halloween and ending with the last candy cane in December, your child has likely developed a strong sweet tooth that can wreak havoc on their teeth if not controlled. So how do you tame your child’s sweet tooth to keep those teeth healthy going into the new year? It’s not as easy as you may think! Children are biologically programmed to prefer a higher level of sweetness than adults do, says Daniel E. Lieberman, Ph.D., chair of the department of evolutionary biology at Harvard University. And that craving doesn’t start to slow down until the teenage years so it’s important to get a handle on it. Watch how much sugar your child is consuming, and slowly try to cut it back. Introduce fruits as a “dessert” to help your child swap out that sugary candy or cooking for something more healthy. With the holidays, most parents understand there will be a lot of sweet treats for kids to nosh on, but they often overlook the sweet beverages that are in abundance during the holidays. Egg nog, hot chocolate, and holiday punches are just a few beverages that can be really hard on children’s teeth. And of course, carbonated beverages consumed in excess, even if it’s diet soda, can be harsh on tooth enamel. Be sure to start replacing these beverages with water whenever possible to encourage a healthier smile over time. During the holiday season, a child’s usual schedule is often disrupted by travel, visitors, and changes in school schedule. This can impact their healthy routine for brushing too. The new year is a great time to recreate good healthy brushing habits and get kids back into a routine. Just like adults, kids need to have constant reinforcement of good habits and the new year is a great time for that! Start the new year with a brand new toothbrush, a fresh box of dental floss or picks, and find a way to make brushing fun again for your child. Is this the year your child starts playing sports at school? Talk with your pediatric dentist about mouthguards. There are several reasons why mouthguards for children are so important. If your child is active in sports or other very physical activities, they may have an increased risk of traumatic injury to the mouth. Even if they just started playing sports, get your child a mouthguard to protect their teeth. Starting the new year with healthy dental habits will go a long way to protect your child’s teeth and keep them healthy for years to come. 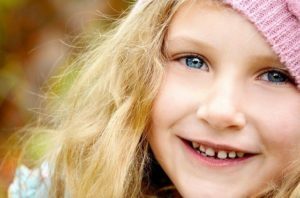 Help your kids enjoy the new year with a beautiful, healthy smile!